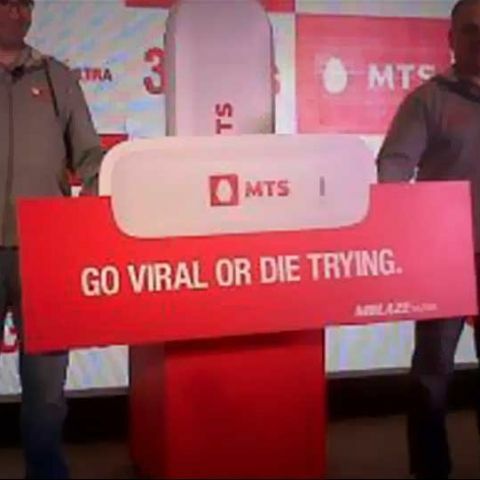 MTS aims to compete with 3G players with its next-generation CDMA REV B Phase II telecom services. The company plans to launch a range of devices based on the new 3GPlus network. Sistema Shyam Teleservices ( SSTL), which operates in India under the brand name MTS, has officially announced the launch of Evolution-Data Optimized (EV-DO) Rev. B Phase II network in the country. 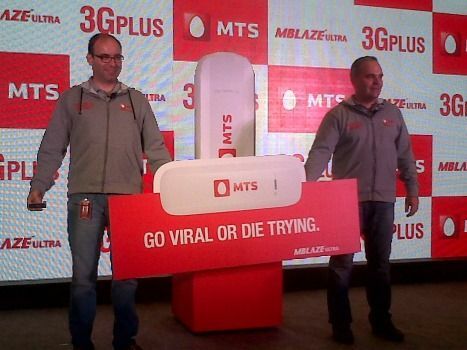 MTS claims the new network,Dubbed '3GPlus', delivers data speeds up to 9.8Mbps. The company has also introduced a new dongle, MBlaze Ultra. The MBlaze Ultra device is priced at Rs. 1,299 for both prepaid and postpaid customers. The company is offering new prepaid customers the dongle at Rs. 1,3999, with 10GB of data usage with 30 days of validity. Existing postpaid MBlaze customers can now get an MBlaze Ultra dongle by paying just Rs. 750. MTS is offering a range of new tariff plans for both prepaid and postpaid customers with MBlaze Ultra. Using MBlaze Ultra dongles, customers get access to over 100 Live TV channels across different genres, games on demand and entertainment portal called MTS Entertainment. MTS also showed off a new Mi-Fi MTS dongle, which will be available for around Rs. 3,000. The company will also plans to launch a slew of smartphones based on new network by end of this 2013. The smartphone will be priced less than Rs. 10,000. MTS India recently received the third block of spectrum in the 800 MHz spectrum from the Department of Telecom. The allotment allowed the operator to offer next-generation CDMA REV B Phase II telecom services. MTS had bagged the slots of 1.25 Mhz each in 800 MHz band, used for providing CDMA services, for eight circles in the March auction for Rs 3,639 crore. The operator will be rolling out 3GPlus Network across all 9 circles – Delhi, Rajasthan, Gujarat, Kerala, Karnataka, Tamil Nadu, Kolkata, Uttar Pradesh (West) and West Bengal. “MTS India is credited for several industry firsts that has enabled it to stay a step ahead in terms of innovation. Adding to this list, I feel extremely proud to announce the commercial roll out of our 3GPLUS network, powered by state-of-the-art EV-DO Rev.B Phase II technology. This announcement is yet another testament of our commitment to provide world class telecom services to our customers, says Dmitry Shukov, CEO MTS India. “MTS 3GPlus network will redefine the way customers experience mobile broadband as we roll out MBlaze Ultra across India. This state-of-the-art network empowers us to provide an enhanced consumer experience with even higher speeds, superior indoor penetration and outdoor coverage,” adds Leonid Musatov, Chief Marketing & Sales Officer, MTS India. SUGGEST A GOOD cdma ANDROID PHONE THAT WORKS WITH Tatadocomo cdma and mts.